Watford have upset Arsenal before - can they do so on Monday night? Michael Cox looks at the tactics and Alan Thompson assesses the odds. "Mesut Ozil might not have the requisite cojones for this away trip"
Match Odds: Watford [3.3], Arsenal [2.3], The Draw [3.9]. Watford have caused Arsenal serious problems over the past couple of years, and won this fixture 2-1 last season. 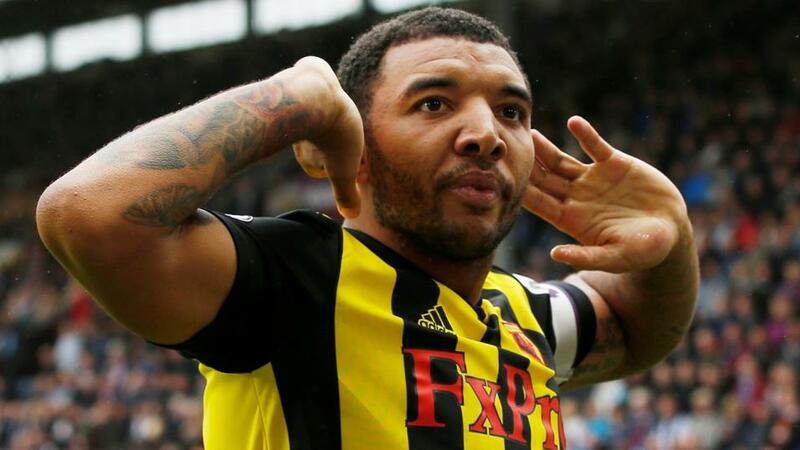 Troy Deeney enjoys something of a running battle against Arsenal, and will be the major focus of Watford's attacks here. Deeney is likely to be partnered by Gerard Deulofeu, who inspired Watford's brilliant comeback against Wolves last weekend at Wembley, first with an extraordinary flipped chip into the far corner, then with the winner on the breakaway. The combination of Deeney's strength and Deulofeu's speed works well for Watford, and it would be a surprise if Andre Gray maintained his position upfront. The other change will come in goal, where Heurelho Gomes will stand down and make way for Ben Foster, arguably Watford's best performer this season and one of the division's outstanding goalkeepers. There's also a slight debate at right-back, where both Daryl Janmaat and Kiko Femenia have featured in recent weeks. Janmaat, the more experienced player, may get the nod here. The defence will be completed by Adrian Mariappa, Christian Kabasele and Jose Holebas, assuming the Greek left-back returns from the knock he sustained in last week's semi-final. Adam Massina is the alternative option. The midfield duo of Etienne Capoue and Abdoulaye Doucoure is one of the best in the Premier League, and has every chance of dominating against an Arsenal side that could be without Granit Xhaka. Capoue will hold, while Doucoure will make runs towards the edge of the box, a position where Arsenal looked vulnerable in midweek against Napoli. Roberto Pereyra and Will Hughes will drift inside from the flanks, and Arsenal might struggle to contain these players if Unai Emery continues with his system of wing-backs, as they'll be reluctant to tuck inside too much and concede space down the flanks to Watford's overlapping wing-backs. Emery's team selection here is tricky, as this game comes between two legs of the Europa League tie against Napoli. There aren't many positions, however, where he can rotate without losing quality. He'll have to make at least one change in defence, however, with Sokratis Papastathopoulos suspended for two games, meaning the return of the somewhat impetuous Shkodran Mustafi, who will play alongside the more commanding pairing of Laurent Koscielny and Nacho Monreal. Arsenal's wing-backs will have a difficult job here, tasked with watching the movement of Pereyra and Hughes, will also being wary of the overlapping runs of Janmaat and Holebas. Sead Kolasinac can find himself too high up the pitch and caught out at transitions, while right-sided Ainsley Maitland-Niles was excellent against Napoli, and could be suited to this challenge as a versatile operator who can also play in midfield. Xhaka will start if fit, probably in place of Aaron Ramsey - if not, the Welshman will continue alongside Lucas Torreira, available again after a long domestic ban. Matteo Guendouzi and Mohamed Elneny are also options if Emery wants to rotate further in this position. Pierre-Emerick Aubameyang and Alex Lacazette started together in midweek, but Emery might move back to a 3-4-3 system here, which means one or the other starting. Lacazette came off early in midweek, so he could lead the line here. Mesut Ozil is another who might not have the requisite cojones for this trip, and Lacazette could be supported by Alex Iwobi and Henrikh Mkhitaryan instead. I fancy Watford to cause Arsenal serious problems here, especially given the Gunners' poor away record - they haven't kept a clean sheet on the road all season, remarkably. I'll back the home side at [3.2], which seems a little generous. I backed Arsenal to banish their away day troubles last week at Goodison Park and they let me down. It’s often foolish to go back in again but they have to sort this out if they want to have any chance of finishing in the top four. They haven’t kept a clean sheet this season away from the Emirates and they have won only one of their last nine on the road (at Huddersfield). Watford are unbeaten in their last six matches at home in all competitions, winning their last four but they have lost to Manchester United, Liverpool, Manchester City and Chelsea when they have visited Vicarage Road. It should give the Gunners some hope and the added fact that Watford could have one eye on the FA Cup final after their late heroic victory against Wolves. There is no doubt that Javi Gracia’s side know where the goals are but they are also more than capable of allowing some slip at the other end as well, they have conceded in their last six.